Dennis Bland is president of the Center for Leadership Development, a non-profit Indianapolis organization dedicated to preparing African American youth for academic, college and career success. 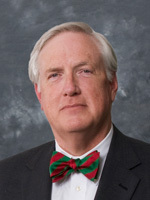 Prior to joining CLD, he practiced law for seven years specializing in medical malpractice litigation and insurance law. Dennis serves on many boards, including the Tobias Center on Leadership, Indiana InternNet, Indiana University Law-Indianapolis Alumni Association, and Indianapolis Arts Council. A native of Indianapolis, he is a member of Christ Temple Apostolic Church where he serves as a deacon, trustee, and eighth grade Sunday school teacher. 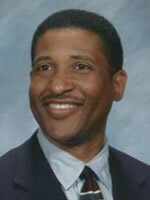 Daniel Evans is the retired President and Chief Executive at Indiana University Health Partners, Inc. He held this position November 2002 - 2016. Prior to this, Dan was a Partner at Baker & Daniels. He currently serves as a Director at BioCrossroads, Christian Theological Seminary and is Chairman of the Indiana Biosciences Research Institute. He also serves on numerous community, academic, and health care related Boards and Advisory Committees, some of which include, Indiana Health Information Exchange, Indiana Health Industry Forum, Central Indiana Corporate Partnership, Indiana Hospital & Health Association, Indianapolis and Indiana Chambers of Commerce, and at IUPUI Board of Advisors. John L. Krauss, an attorney, mediator, and arbitrator. He retired from Indiana University and IUPUI after 23 years. He served as the founding director of the Indiana University Public Policy Institute and is a professor emeritus at the IU School of Public and Environmental Affairs. Previously, Krauss served as Deputy Mayor of Indianapolis (1982-1991). Krauss currently serves as a part-time senior advisor to the Chancellor of IUPUI and as adjunct professor at the Indiana University McKinney School of Law-Indianapolis. 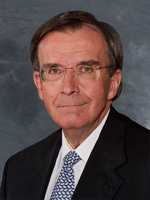 Krauss holds leadership positions with a diverse array of civic and corporate organizations, including Tourism for Tomorrow, Inc., the Indiana Supreme Court Disciplinary Commission, Indiana Alcohol and Tobacco Commission, Indianapolis Fire Merit Board, Arthur Jordan Foundation, President Benjamin Harrison Foundation and the Indianapolis Museum of Art. Jackie Nytes served the Indianapolis Public Library from 1988 to 2003 as CFO and Associate Director for Management Services. 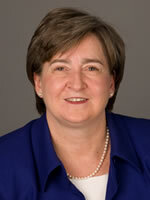 Nytes returned to the Indianapolis Public Library in 2012 to be the Chief Executive Officer. During her time away, Nytes served the state as the President of the Indiana Economic Development Council and the city as the Executive Director of the Mapleton Fall Creek Development Corporation. Twelve years on the Indianapolis City-County Council has given Nytes a unique perspective on the role of the library in the Indianapolis community. Currently, Nytes serves as a board member of the Indianapolis Symphony Orchestra, Indy Chamber of Commerce, GIPC (Greater Indianapolis Progress Committee) and the Immigrant Welcome Center. Program Director, Lilly Endowment Inc.
Brian Williams is a Program Director responsible for helping carry out the mission of Lilly Endowment’s religion and community development divisions. 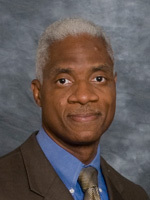 Before joining the Endowment, Williams served churches in Indianapolis--Senior Pastor of University United Methodist Church, Pastor of Mission and Outreach at North United Methodist Church, and he also served as Pastor of the Granville-Vance Charge United Methodist Church in North Carolina. Williams is a well-respected religious leader in the faith-based community. He brings both experiences from the business world and a passion for community development efforts that target the quality of life for all people, especially those living in poverty, addiction, homelessness, and the formerly incarcerated. Williams serves on various non-profit and for-profit boards in Indianapolis.